As many of our more loyal readers will know I owned 2 Ford Focuses (Foci?). Whatever the correct plural version of Focus is, I owned 2. The first one heroically lost the battle between it and the combined forces of a guardrail and a steep embankment. The second one is the car I cut my tuning teeth on: intake, headers, flywheel, clutch, ecu tune, and was well on its way to a full exhaust when I decided to upgrade to a new car rather than throwing more parts at the second Focus. I had just been promoted at work and promptly decided to get rid of my more juvenile car and get something more grown up. 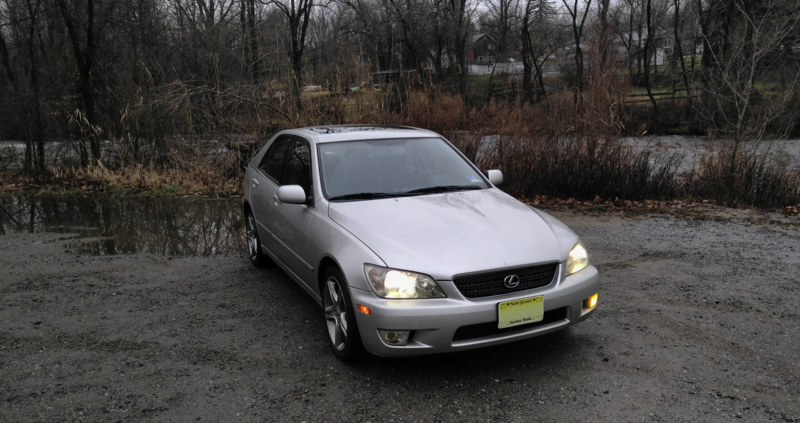 The grown up car in question was and still is a Lexus IS300. Lexus, the luxury arm of Toyota, is littered with exceedingly reliable, well built, and exceptionally dull luxury vehicles. The ES and LS should have been used to cure insomnia and please don’t get me started on the apocalypticly ugly and staggeringly terrible SC 430. Standing out to me at the time was the IS 300. 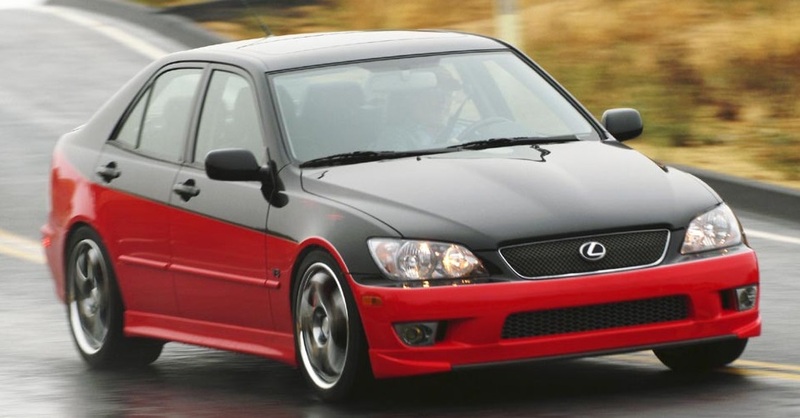 Introduced in 2001 it was Lexus’ response to the BMW’s all conquering 3 Series. In the early 2000’s the Mid Sized Luxury Sedan market was BMW and then everyone else. The 3 Series’ looks, luxury, practicality, and performance was a level above. Mercedes was still making cars that looked like surprised toddlers. Audi’s were good, but boring. Sure the Audi would eventually give you a little excitement when electronics spontaneously failed, but I think that would get old after a while. Enter the IS 300: a sharp, good looking alternative to the Germans from the land of the rising sun. Underneath the hood lurked Toyota’s legendary 3-liter, straight-6, 2JZ engine. In GE trim, the IS300 it produced 215 horsepower and 218 ft/lbs of torque. Power went to the rear wheels via a 5-speed automatic (yawn) or a 5-speed manual. All this together showed Lexus was capable of making a driver oriented car. Combine this with Lexus’ well known reputation for build quality and low(ish) running costs, and it made for a very tempting package. So tempting that when given the chance I bought a 2002 IS 300. To me, it looked much better than any of its rivals from Germany. It managed to pull off new and different without looking ridiculous. The 2002 C Class was different, unfortunately it was also shockingly ugly. Audi was at the other end of the spectrum. The only thing more boring than an early 2000’s Audi A4 is Greg’s excruciatingly detailed explanation on how Subaru’s All Wheel Drive system works. The 3 3eries from this era did look handsome and understated, however today it looks a bit dated. The IS has aged far better. 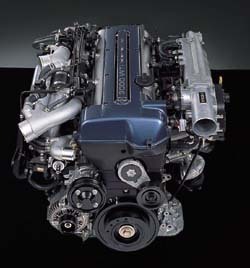 Also factoring into my decision was the 2JZ engine. I swear it has absolutely nothing to do with The Fast and Furious. Normal people look for things like MPG, practicality, maintenance costs, and reliability when buying a new car. I look for those things too, but with 1-3 eyes on what potential the car has for “enhancement”. This brings me neatly back to the 2JZ. It has almost limitless potential. Want a 1000 horsepower beast? You got it. Want something fast but actually driveable? You got that too. Go online and you won’t be left wanting for aftermarket performance parts. More power is just a click away. That last sentence is brought to you by Tim “The Toolman” Taylor. The IS300 is truly fun to drive. It feels capable and athletic. The steering is fantastic, firm yet communicative. Combined with the steering and the suspension, you have a feel for where the car is and where its momentum is taking it. It will initially understeer at the limit, but if you are so inclined you can get this car to dance without too much trouble using tried and true methods like left foot braking and Scandinavia’s famous flick. But your best friend is the highly technical technique of burying your right foot midway through a corner. You can have a lot of fun in the IS without driving super fast. Some have argued that the IS300’s the interior wasn’t as refined as a BMW 3 Series. For my needs/tastes I’d have to disagree. The interior is great. Leather, suede, everything has a quality feel to it. All the buttons are within easy reach and logically laid out. My car may be getting on 13 years old now but everything feels tight and well put together and why wouldn’t they its a Lexus. Lexus invented top notch build quality. The IS 300 is not with out its faults. The chrome knob on top of the shifter is unnecessary. If you park your car outdoors for any length of time on a summer’s day and the knob gets brutally hot. The pedal placement is less than ideal. The brake and clutch pedals are 2ish inches above the gas pedal. Which takes some getting used to, and sadly, it makes it almost impossible to heel and toe. The clutch was too light and a bit vague, which I fixed with lightweight flywheel and heavier clutch. In stock trim the engine is way, way, way, wayyyyyyy too quiet. Which I once again remedied with an HKS exhaust system. It has a satisfying growl and the higher decibel level is where it should be. All told Lexus and their IS300 had something to go toe to toe with 1 BMW, the 328. The original IS300 was a great start, with some extra effort Lexus could have had a car to contend with all variations of the 3 series. What Lexus actually did, was stick with 2 versions. The sedan and a wagon. Never mind the fact that over in Munich BMW was offering 9 different variants of the 3 series. 9, I’ll admit, was too many, but on the other hand 2 was too few. Lexus needed more, including something to compete with the man the myth the legend that was/is the M3. This is the issue with the 1st Gen IS, no top end halo model. It would have taken some time to get close to the M3, however I think the basics were there. The IS chassis was already very good, it practically begged to be turned into an M3 rival. I know that top range performance models are never the biggest sellers. But they do drive sales. They show customers what a car company is capable of and what can trickle down to the “regular” cars. Lexus had everything it needed in house to produce a top notch hot sports sedan right in front of them. Toyota had already developed the 2JZ-GTE for the MkIV Supra. Here in the states it produced 320 Horsepower. With some extra boost and minor engine management tweaking it could have easily matched/surpassed the M3’s 340 horsepower. Give the suspension more “sportiness”, add some wider rubber, bigger brakes and a slightly more aggressive body, and they would have had a M3 fighter. I know it is never that simple, but nor is it super difficult. Toyota has a bunch of smart people working for them, it wouldn’t have taken much effort to make performance oriented IS. To add to my considerable frustration, Lexus very proud of their IS 300 platform they wanted to show off it’s potential. Lexus went as far as to employ Rod Millen and his special vehicles division to build them a performance IS. The Millen family does not mess around. Some of Millen’s engineering expertise includes Pikes Peak, Baja 1000 and World Rally Cross. Millen installed a Lexus V8 into the IS 300’s engine bay. The all aluminum 4.3 liter unit out of the GS not only had a larger displacement it actually weighed about the same as the cast iron 2JZ it replaced. Millen tweaked the V8 to produce 340 horsepower. The transmission, a 6 speed manual unit. The brakes were upgraded Brembo units and similar improvements were made to the suspension. If the Millen’s upgrades weren’t enough Lexus brought design legend Chip Foose in to take care of the exterior. The IS430 was debuted at SEMA and Lexus took it with them to the big national car shows, where a young me saw it at the New York International Auto Show. This was the car that got me stoaked on the IS platform. I wanted one. Sadly Lexus never gave me or anybody the chance of buying their own IS430. Another casualty of accountants the IS430 never made it into production. Frankly I do not get their decision. Lexus had right in front of them a fully functional, fully engineered, rival for the M3. They were so close, but couldn’t pull the trigger. 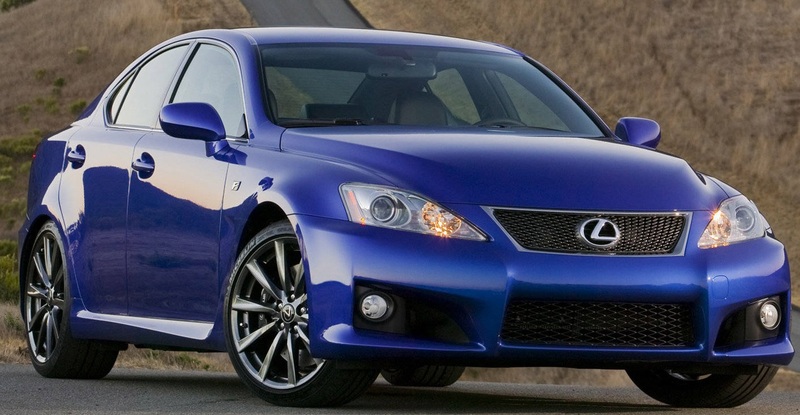 In 2006 Lexus replaced the IS300. The 2nd Gen came with 2 engine options, a 2.5 and 3.5 liter V6’s. Other than that it was dull, it was bland and to add insult to injury you could only get a manual in the smaller engine option. It lost all of the IS300’s charm. Lexus, having finally learned their lesson, launched the IS-F. Sporting 5.0 liter V8 jointly developed with Yamaha The IS-F was designed to take on the might of BMW. However, the IS-F was heavy and most of its 371 ft/lbs of torque were produced to high in the rev range to be enjoyed in everyday driving. The styling was ok, but It looked like it was trying too hard and those vertically stacked tail pipes don’t look good at all. The IS-F was a good car, but at this point Mercedes was giving us the awesome assault on the senses that was the C63 AMG. Audi was offering the sublime RS4. The M3 was still the daddy though. It was sharper, faster, it made a better noise, and you could get a manual (something Lexus didn’t offer). All of which continued the M3’s legacy as the best driver’s car of the bunch. Lexus was getting closer, but still couldn’t match their Bavarian rivals. All this brings me to Lexus’ latest attempt to take on the Germans. The RC-F, a Luxury Sports Coupe designed to compete with the BMW’s M4 (I do not have the time or the energy to go into BMW’s new numbering system. Just know the M4 replaced the M3 coupe), Merc’s C63 Coupe and Audi’s RS5. The RC-F is heavy, and for the life of me I can not figure out why. It needn’t be that heavy. The suspension does a its best to battle the girth but at nearly 2 tons you can’t not feel the weight. weather your hammering it on the track or going for a spirited drive on your favorite road you feel it. You can feel it isn’t as sharp as a M4 or even Cadillacs ATS-V (Big fan of the ATS-V by the way). It will under-steer at the limit. Ask any automotive enthusiast and they’ll tell you that’s the exact wrong type of steer. Don’t get me wrong, it drives well and handles its girth well. Its comfortable and predictable at the limit. Problem is to make it fun, you have to drive at speeds really only suitable on a track. On everyday roads the weight and subsequent lack of sharpness lets the RC-F down as a pure driver’s car. The engine, below 4000ish RPM is quiet and dull. However, get the tac above 4000 and all 8 cylinders and 467 horsepower come on song. It’s not epic but there is a deep, throaty growl that is pleasing to the ears. The 5 litre V8 is mated to an 8 speed automatic with paddle shifters. Like the rest of this car its good but not great. It works fine in everyday automatic get me to and from work mode. On the track it works well, but it is slightly slower than you’d like. It really lets you down on normal roads. It is really slow and dimwitted specifically on downshifts. Pull the left paddle, calculate a solution to our national debt and then it shifts. Lets face it, on public, everyday roads is where you want your car to shine. This transmission lets the rest of the car down. This is why I prefer manuals. They can make most sporty cars regardless of faults, fun. Automatics (not dual clutch units) will never be as good as a manual for everyday “fun” driving. I know it’s an endangered species but, put a manual in the RC-F and it becomes a much better car. 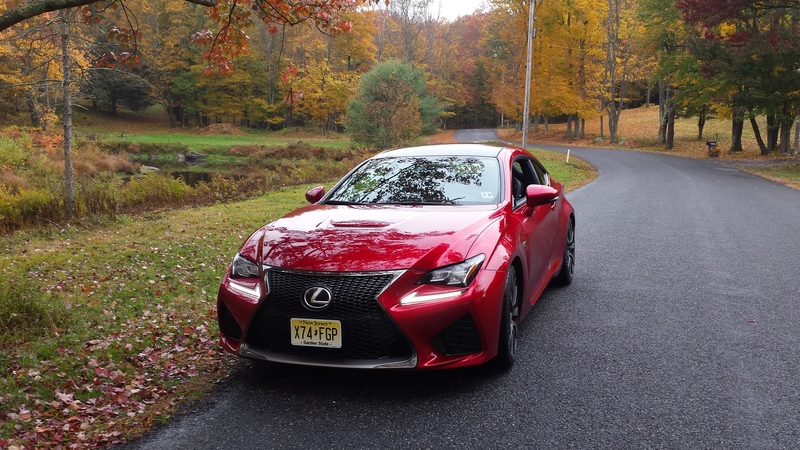 The RC-F is by no means a bad car. If you’re prepared to rev the nuts off it on a track the RC-F can be fun. But on a normal everyday road it’s more of a gentleman’s express than driver’s car. While good enough for most, when your target is BMW’s M division, that’s not good enough. So there we go. Lexus have come close but no cigar. They have potential though. This is the same company that makes the epic LF-A. They have also launched an RC-F GT3 race car. It has competed in Japan and Europe with less than encouraging results. However in 2016 Lexus will debut full factory backed race team in IMSA’s WetherTec Sportscar Championship. F-Performance will be headed by Paul Gentilozzi’s and will make it’s debut around the 3rd round of the Championship. 2016 is seen as a development year and to that end they have brought on Scott Pruett (arguably America’s most successful Sportscar race driver) to help develop the car. There are more details on the RC-F GT3’s results so far and the future of the program on the internet. Point is hopefully the lessons learned racing will trickle down into Lexus’ F department and future models will be better for it.